I don’t normally participate in the Wordless Wednesday, and since I am typing right now, I guess I am failing at my first one! 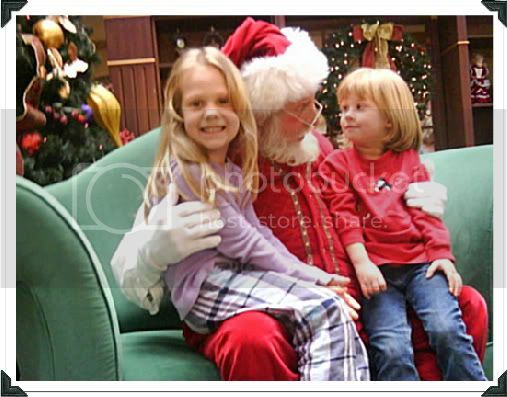 I wanted to leave you with a picture of Chloe & Abby with Santa. Wishing All of you a Merry & Safe Christmas! Here’s a link to another one for your viewing pleasure, Enjoy! Too cute! I hope they got what they asked for. http://tinyurl.com/ax7744 Merry Christmas! 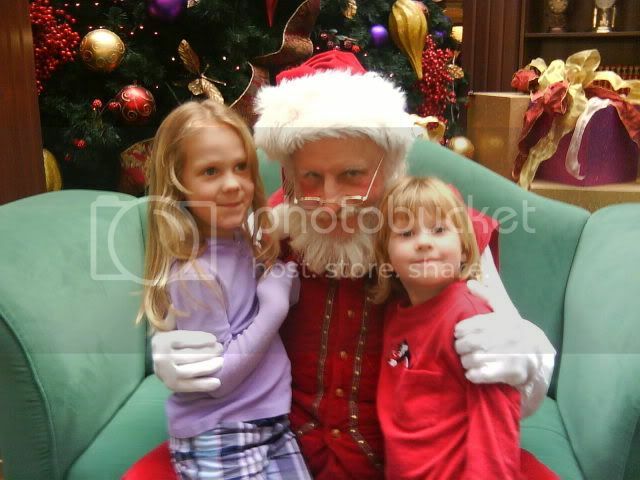 The Girlz w/ Santa!